What’s better than golf, food and drinks with old and new friends? Each week, Sam will choose a different part of the game to work on, and then let you loose on the course for a few holes to try out your new skills. Fun and laughter guaranteed! 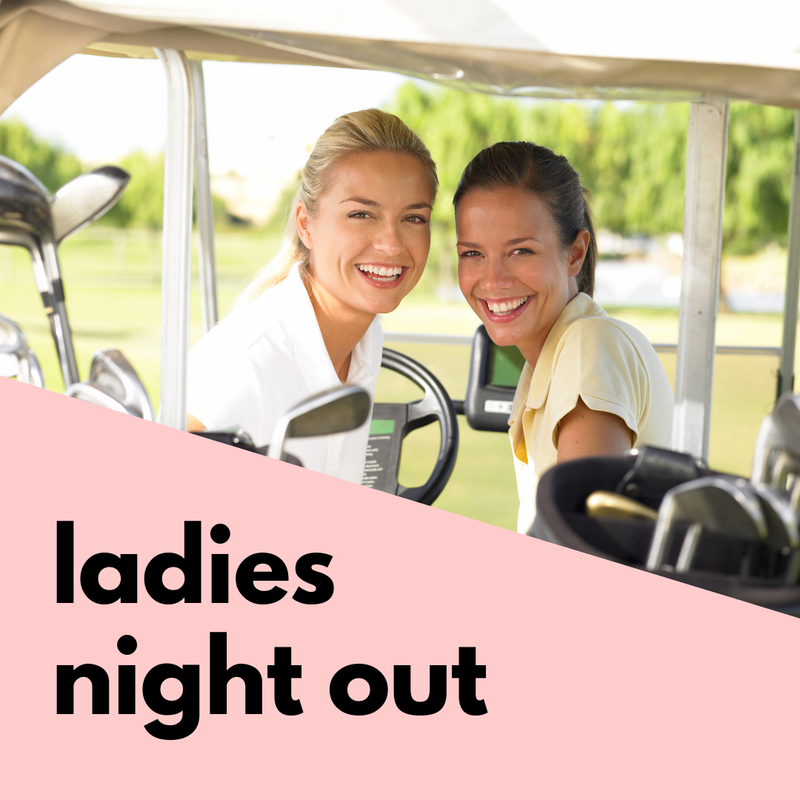 Provide the Recipient Name which will appear on the Ladies Night Voucher. If you’d like to send the voucher to the recipient, please enter the email address. Otherwise you will be able to print the voucher after the transaction. Write a personal message which will appear on the Voucher. 100 characters max.